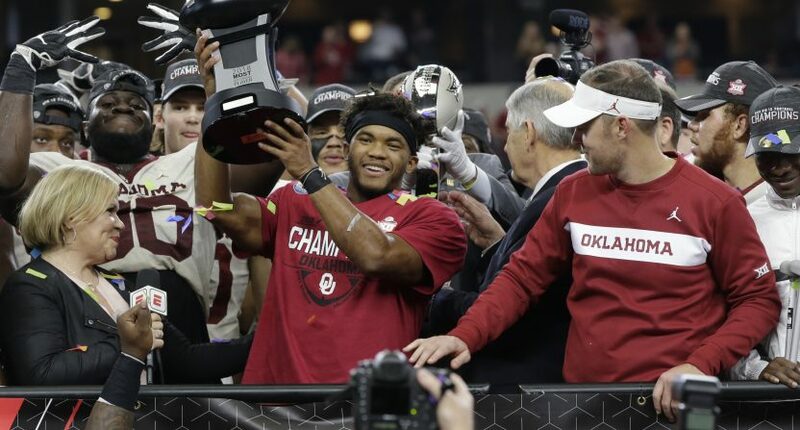 ESPN and the Big 12 have agreed to a new rights deal that will see ESPN and ABC carry three more football championship games through 2023, along with adding plenty of college basketball inventory to ESPN+. Eight of the 10 schools will provide more than 50 exclusive events per year, including at least one football game, any spring football game and any basketball game that is not on an ESPN linear network. Texas, which has Longhorn Network, and Oklahoma, which has its own local rights deal, will not provide content to ESPN+. However, both schools will be featured on the streaming service when they are an away team and during conference championships outside of football and basketball. That element of the agreement begins rolling out next year, as Baylor, Kansas, Kansas State, and Oklahoma State will all have games on ESPN+. It’s not yet clear whether this agreement will preempt the existing local distribution in place, or whether ESPN+ will be simulcasting those existing broadcasts, but either way it’s more live sports content on ESPN+. The way this is being described sounds a bit like ESPN+ is going to serve as the de facto Big 12 conference network, which is an arrangement that makes sense. The Longhorn Network still stands in the way of the conference agreeing to a more traditional rights distribution, while ESPN gets to add a lot of inventory to ESPN+, and the kind of property that has the potential to draw lasting subscribers. It’s also a likely blueprint for ESPN rights deals going forward. The bet on ESPN+ means just about any new property added is going to have some kind of ESPN+ tie-in, so we could see more of these in the near future as various conference rights deals come up for renewal.